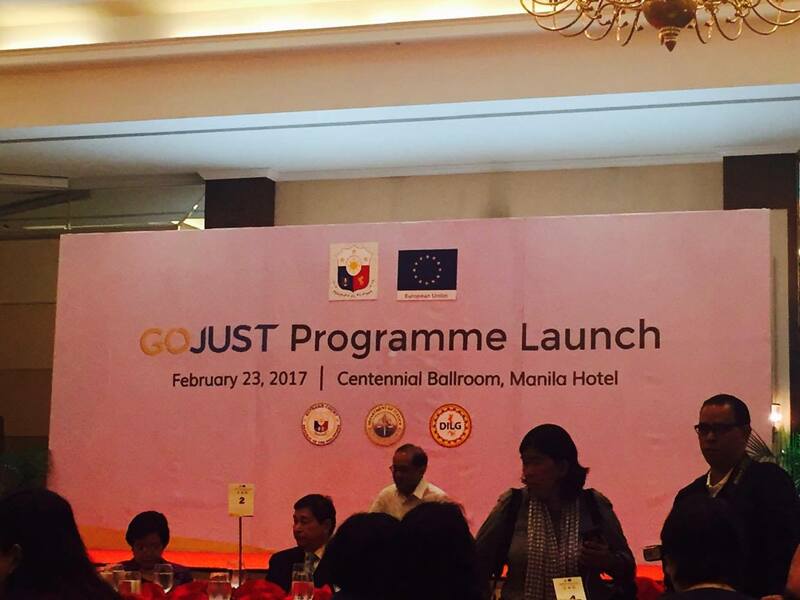 The EU awarded an Php 850 million grant for the GOJUST Programme with the hope that it will increase efficiency, effectiveness, and accountability of the country's justice system. 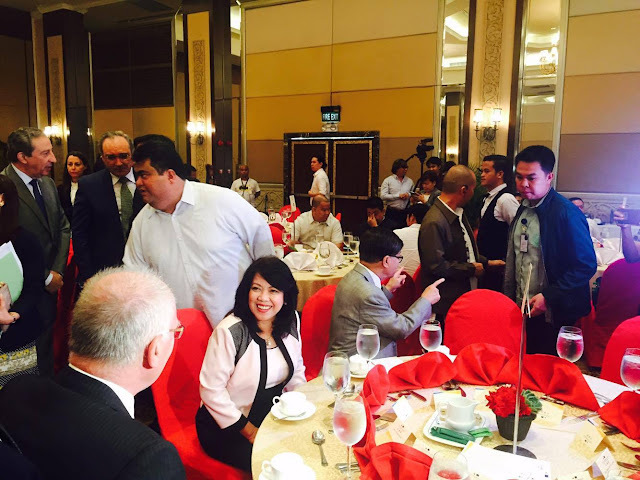 The Spanish Government also contributed some Php 105 million aside from the grant given by EU. 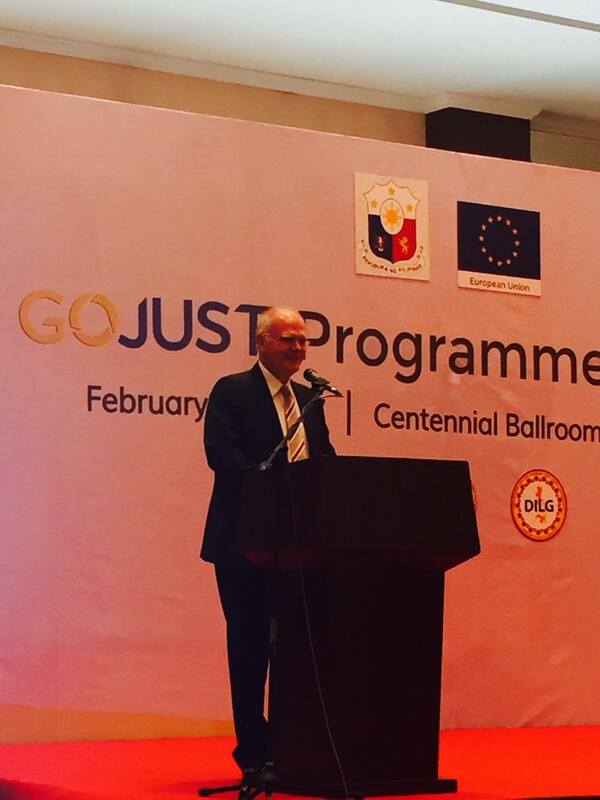 "As the Philippines moves towards middle income status, a properly functioning justice system will be essential for the business climate and to ensure the continuity of economic growth," said EU Ambassador Franz Jessen. Jessen added that the GOJUST Proragmme intends to strengthen the rule of law in the Philippines and ensures sustainability of programme interventions through recommendations for legislative, regulatory and procedural reforms in the criminal justice system. 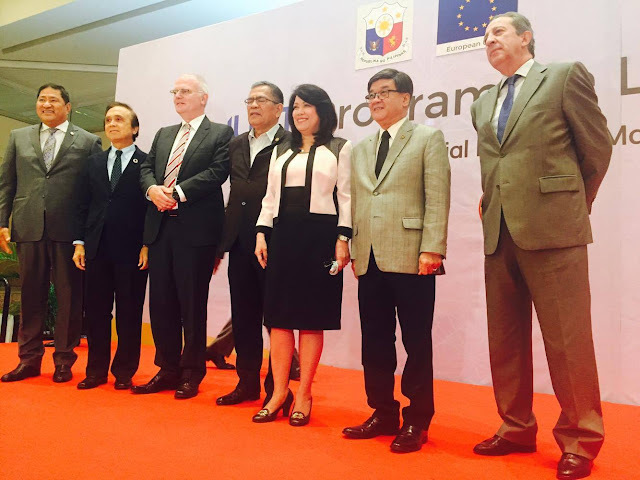 "The European Union is very happy to support the Philippine justice sector reform agenda. We believe that GOJUST programme will greatly help in policy-making, decongesting and automating court dockets and in strengthening capacities of members of the justice sector," EU Ambassador Jessen stressed. GOJUST is innovative because it adopts a more process oriented and strategic approach. The programme supports the institutionalization of the Justice Sector Coordinating Council, the development of a long-term reform strategy and investment plan and the roll-out in 8 new areas of the Justice Zone concept, as pioneered in Quezon City. The GOJUST programme builds on the achievements of three (3) prior EU projects that helped strengthen the pillars of the justice systems in the Philippines namely- "Improving Governance to Reduce Poverty: Access to Justice for the Poor" (2006 to 2008), "EU-Philippines Justice Support Programme (EPJUST) (2009 to 2011), and EU-Philippines Justice Support Programme II (EPJUST II) (2012 to 2016). The first component is the strengthening and institutionalization of the of the JSCC as a permanent coordinating and policy-making body at the national level. This will ensure complementarity and compatibility of reform measures of the different justice sector agencies. The second component will focus on improving delivery of justice by decongesting 160 courts and 100 prosecution offices; the development and roll-out of electronic case management systems; and the streamlining of case management systems. The third component will strengthen court administration, human resource management, financial management, and high level performance management of the judiciary and the Department of Justice. The fourth component, being implemented by the Spanish Agency for International Development Coordination (AECID), will strengthen national / regional human rights institutions' and CSOs' capacity to promote accountability and fight impunity for major human rights violations.